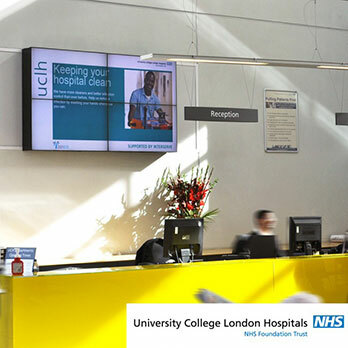 The Healthcare Messaging Group delivers essential healthcare and patient information at NHS hospitals on professional high definition digital screens. Established in 2008, we work with over 50 major hospitals, operating over 500 Patient Information Screens. Our screens now benefit an estimated total annual audience of 10 million patients, visitors and staff at our partner hospitals, something that we are very proud of! We truly understand the importance of delivering high quality, clear messages to patients, visitors and staff within NHS hospitals. Furthermore, we have helped our hospitals raise over £1 million in new revenue from the revenue generating part of our healthcare service. Another achievement of which we are very proud! And it’s all very simple to set up. The patient information screens have now become a central part of our patient communication strategy. 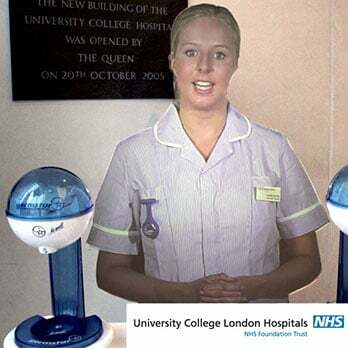 They provide a highly visual channel to broadcast important messages to our 1.5 million annual patients, visitors and staff. The Healthcare Messaging Group work closely with us to provide a clear, consistent, creative messaging service, as well as managing the screens, and they understand how a large NHS hospital such as King’s needs to communicate with a large, diverse, local population. The service has helped us improve the experience of our patients.